New in: Neon yellow bag & tricolor clutch - Do You Speak Gossip?Do You Speak Gossip? Those of you who follow me on Facebook, already know that I went shopping again this week! This time I didn’t come home empty-handed, but brought home with me, 2 beautiful bags! I was actually looking for a clutch to go perfectly with my dress and shoes for my cousin’s wedding, and the other just caught my eye, when passing out of a shop. Couldn’t leave it behind! After all, neon is my latest trend obsession. Its tag, says Motel, but I have honestly never heard of the brand. It’s made in Italy though, so I trust it to be a good and high quality product. It’s actually neon yellow, but it can look neon lime in some pics. Its hardware has a light gold/rose gold color. 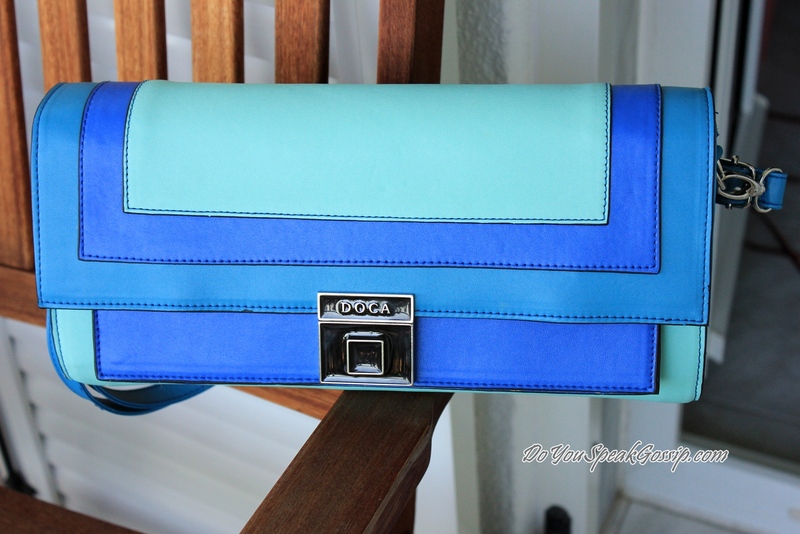 The clutch is tricolored, with 2 hues of blue and light mint green. It’s quite long and has a strap, which is detachable, and I’m going to remove it for the wedding. It wasn’t what I had in mind, as it’s not very formal, but I didn’t find anything better…The colors were really different, and as it’s a formal event of one of my closest relatives, I didn’t want to mix too many colors together. Plus, it’s an island wedding, and I don’t want many looks on me…People in small communities, tend to gossip a lot. I bought it from Doca, in case anyone’s interested. I think it goes perfectly with my shoes! And the third color of the bag, is actually exactly the same as the one of my dress. I was searching for a mint clutch to have some contrast, but I was extremely unlucky! I’m keeping the dress as a surprise as I’m hoping to take outfit pics before the wedding. What do you think of my new bags? Tell me your opinion! S’euxaristw poli Sofia! Kai mena i prwti mou arese perissotero alla ti 2i ti xreiazomoun gia to gamo tis xaderfis mou! Αχ…αλλη μια φορα ζηλευω για Θεσσαλονικη!! Εχω περασει αλλα δεν εχω κατσει πανω απο μια μερα.. δεν ξερεις ποοοσο το θελω!! Και η δευτερη ειναι πολυ ωραια και ειμαι σιγουρη οτι θα κανεις εμφανιση!!! Τα παπούτσια ταιριάζουν τόσο πολύ με αυτό το φάκελο..!!!! Με γεια σου Μ μου, περιμένω να τα δω και σε outfit posts! Pwpw! Einai fantastikes! Me geia sou! Kala gia tin prwti den exw logia! Xrwma kai sxedio fovera! Alla epeidi exw kai egw ta papoutsia me ta opoia 8eleis na syndyaseis ti 2h omologw oti mou aresei k ayti eksisou! Kaloforetes koukla! Den ithela na ksefigw poli apo ta xrwmata tou forematos kai twn papoutsiwn, epeidi o gamos einai se nisi, kai den thelw na me koitane perierga…se mikres koinotites pou oi perissoteroi gnwrizontai metaxi tous travas polla vlemata an eisai neo proswpo…Opote auti i tsantoula pistevw einai oti prepei! dn exo logia g tn neon tsanta! Xairomai pou sou arese Savina! The clutch is fantastic! Couldn’t match your shoes better! I loved both together! And yes, I’m eager to see the whole outfit, you are number one when choosing wedding outfits! I know what you mean, when people start looking at us in such a way, as if we came from Mars. But then what is better? To be well dressed or under dressed? Well dressed, of course! And just because we have our styles, people tend to say we are “strange, eccentric, over dressed”. No way! Yes, on an island, not Crete, but a small community, they would look at a very well dressed girl as “extravagant”. But don’t mind them too much! Please, think that your readers love you the way you style yourself and that we are eager to see the new outfit! I’m glad you liked it Denise! I thought about buying another color, since the neon trend won’t stay forever, but I finally decided to buy this one, since I loved it! Yes it’s a handbag! Its straps are not long enough to be a shoulder bag! It is good for a few hours, but if you walk a lot then you definitely need a shoulder bag, or a messenger bag (these are my favorites)! I don’t worry that I’ll be overdressed, but I’m not sure how they’d take the whole color-blocking trend…I didn’t want my outfit to seem too much! In weddings, I want to be elegant…Modern, but still respectful, and elegant. M mou poso wraies agores exeis kanei twra teleutaia! !H neon tsanta eidika..einai foveri! !Megeia sou kai kaloforeta ola!!! Με γεια σου! Είναι και οι 2 υπέροχες!! Είναι καταπληκτικό το πως ταιριάζει η 2η με τα παπούτσια! Έκανες καλό σετ! Τώρα μένει να δούμε ολοκληρωμένο το σύνολο που θα βάλεις στο γάμο! S’euxaristw poli Anna! Einai kai i moni pou vrika na tairiazei…Oles oi alles pou mou deixnane, eixan entelws asxetes apoxrwseis kai ksefeugan para poli apo to apotelesma pou eixa sto mialo mou! xixixi S’euxaristw poli! Kai sta dika sou! Eleutheri den eisai kai esi? Ennow, oxi pantremeni…’i kanw lathos? I love this bag!!! Amazing colour option!!! mporeis na mou peis se poio magazi sth thessaloniki..exeis dei paromoies tsantes me thn proth pou deixneis???? Egw pira ti diki mou apo ton pezodromo tis Kalamarias…Katevainontas me ta podia apo Pasalidi ligo pio katw sto aristero sou xeri! Exei 2 katastimata idia, kai to 2o eixe allo ena kommati…iparxei kai se neon pink an endiaferesai…apla einai ligo pio akrives apo tou kentrou..Nomizw pws to katastima legetai Jewel. wow that bag is amazing. sooo bright! it’s a definite statement piece! 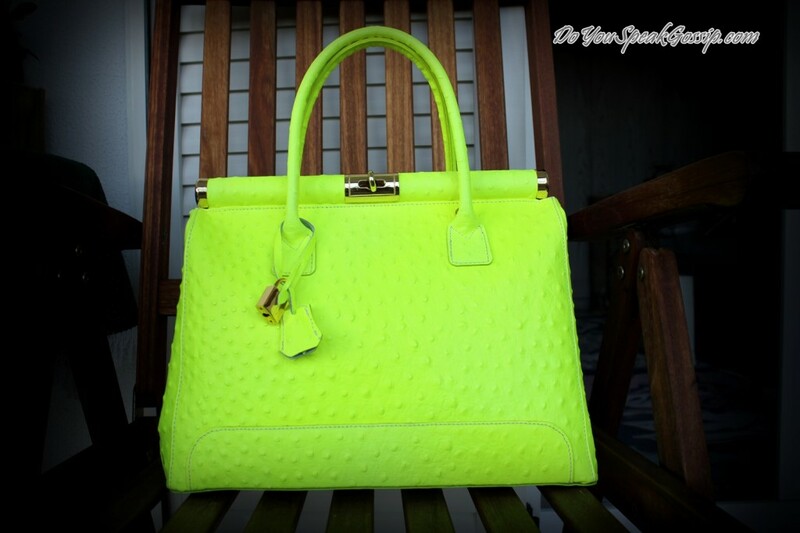 Absolutely stunning neon yellow bag!!! Thank you so much for your comments girls! Love them all, amzing bags! Aga’s suitcase recently posted..Neon and my new-in BaBassu top – summer is here! love & love that neon bag! 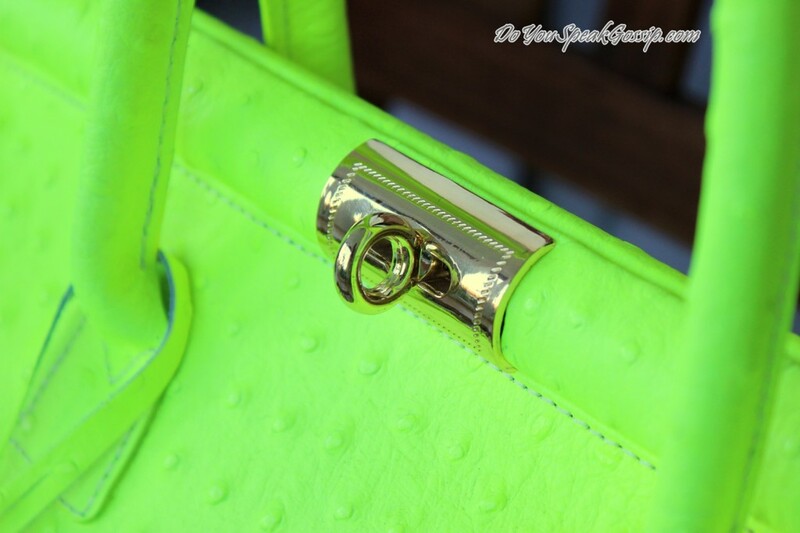 i’m all about neon accessories this summer! do you want to follow each other (on bloglovin’ and google friends connect)? let me know! Amazing clutches, loving the styles you chose! Thank you for your lovely comments! 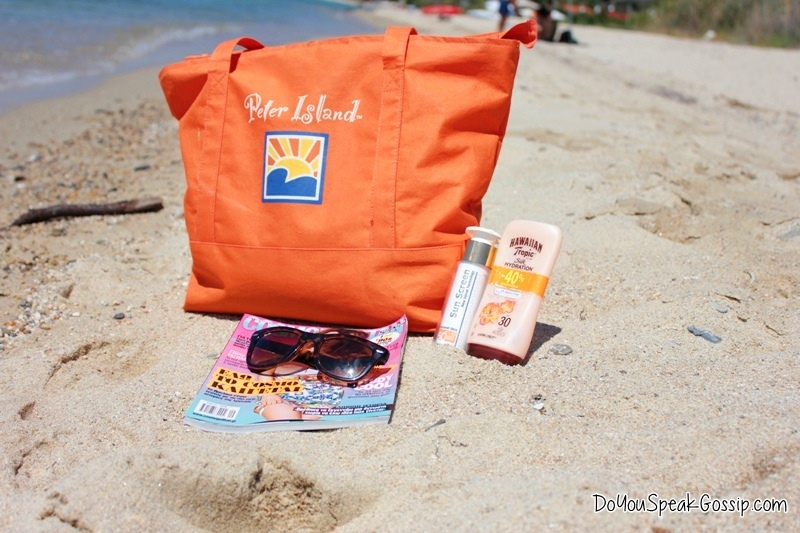 There’s gonna be a new post in a few minutes! Very impressive! I like the designs and the colors! So fantastic! Pingback: Do you speak neon? | Do You Speak Gossip? 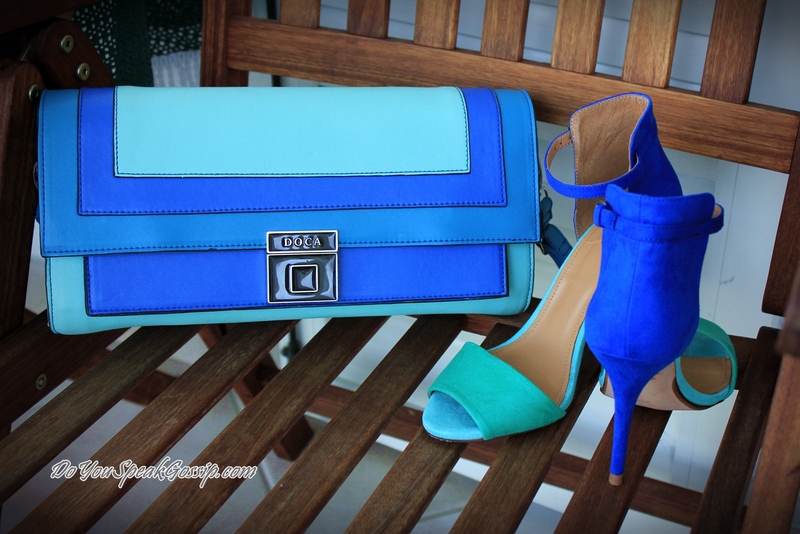 Pingback: What I wore to my cousin’s wedding | Do You Speak Gossip? Pingback: New in: Céline luggage tote look-alike & Zara peplum top | Do You Speak Gossip? Where did you get the yellow bag? Hey Amanda! I got the neon yellow bag last summer from a local shop in Thessaloniki, Greece. The brand is “Motel”, but other than that I couldn’t find anything else online.